40+ Masonry Tools Used in Masonry Work of Your Home! One of the great things about doing masonry work apart from the pleasure of seeing a fantastic job well done is in that masonry tools and masonry materials are basic, inexpensive, and easy to understand and work with. Masonry work requires tools for various purposes i.e. handling of mortar, for dressing of stone, for cutting of bricks to get required shape etc. As it goes with traditions in existence since the days of the Ancient Indian and Egypt, masonry deals with some common elements as crushed stones from the earth and simple metal tools. Here we have listed some tools which are used in masonry. It is made up of steel. Wooden/plastic handle is provided for holding. The ends of trowel may be bull nosed or pointed. This is used to lift and spread mortar in joints during masonry construction. There are different kinds and sizes of trowels used in masonry work. It is used to set out right angles at the corner of masonry wall. This is very important and basic tool used in masonry work. This tool has “L” shape. It is made of flat steel having each arm about 0.5 m long. It is used to check the verticality of walls. It is also very basic and important tool. It consists of a string tied to a weight at bottom called bob and straight wood board with uniform edges which is called plumb rule. On its center a groove is provided in which plumb bob is placed. When the rule is placed vertically with the wall the plumb bob must be in the groove line otherwise the wall will not be vertical. It is used to check the horizontality and verticality of the surfaces. Spirit level is made of hard plastic or wood with bubble tube in the middle. The bubble tube is partially filled with alcohol. So that, the air bubble is formed in it. The spirit level is placed on surface of masonry wall and bubble is checked. The surface is called leveled when the bubble in the tube settles at middle of tube. It is used to maintain the alignment of the work-in-progress. Line and pins consist of a string whose ends are connected with two solid metal rods with pin points. It is used to level line and the alignment of brick course while brick laying in brick masonry work. It is used to transfer and check level. It is a simple tool to measure the level at two different points. It is a tool that works on the principle that water always seeks its own level. 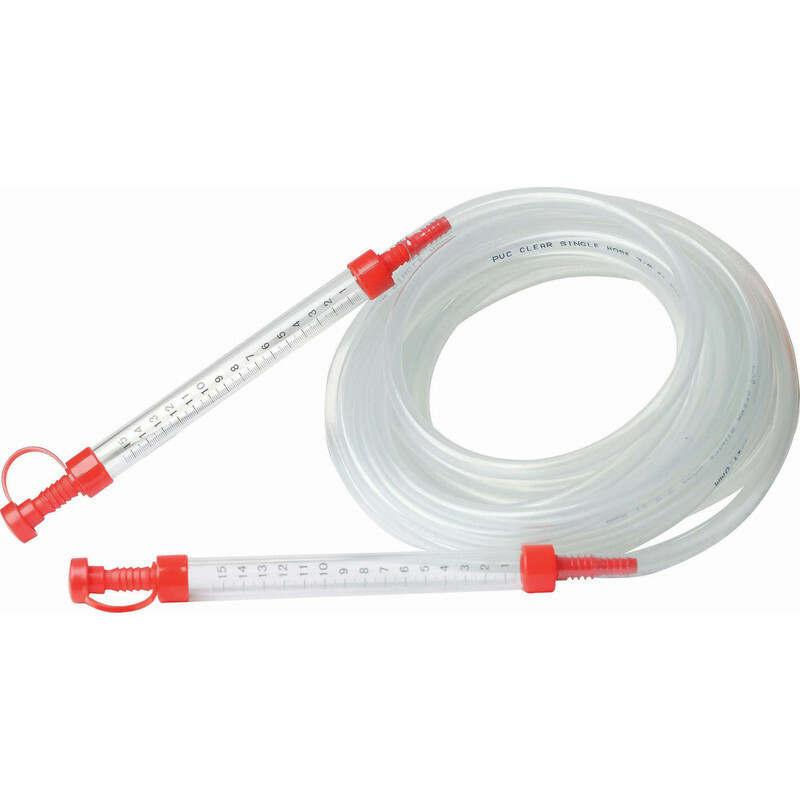 It consists of flexible tube with liquid, and the liquid at both ends will be at the same level whether you’re holding them together or spreading them a hundred feet apart. It is used for levelling from two fixed points in surveying. It consists of an upright pole having a horizontal board at its top, forming a ‘T ‘shaped rod. Boning rods are made in set of three rods, and many consist of three ‘T’ shaped rods, each of equal shape and size, or two rods identical to each other and a third one consisting of longer rod with a movable or detachable ‘T’ piece. The third one is called traveler or traveling rod. They are used to mix mortar and also used to place cement, mortar, concrete in head pan. Spade is also used to dig the soil for foundation trenches etc. It consists of metal plate at the end of long wooden handle. Mortar pan is commonly used in construction sites and is made of iron or plastic. It is a vessel made of rigid plastic or steel used to hold or carry sand, cement, mortar and concrete. It is also used to mix mortar and to lift mortar on working site. To use a mortar pan, fill it with a quantity of material i.e. sand, cement, mortar etc. that you are comfortable with carrying. A jointer in masonry construction is a tool in the form of a striking iron or a striking tool used to finish the horizontal or the vertical mortar joints. A jointer or brick jointer is a hand tool designed to imprint grooves into recently filled mortar joints at the stage when they are starting to set. Using a brick jointer helps to improve and visual impact and the lifespan of the mortar. Jointer is used to refer to any tool which can shape the mortar between bricks. It is employed for rough dressing of stones and to split the stones in the quarry. It has a long head pointed at both ends. It is employed for dressing the surface of stones. This consists of an iron edge with a number of teeth from 3 mm to 9mm. They are used with mallets and with hammers. A chisel is used for normal splitting, roughing out and shaping the stone. 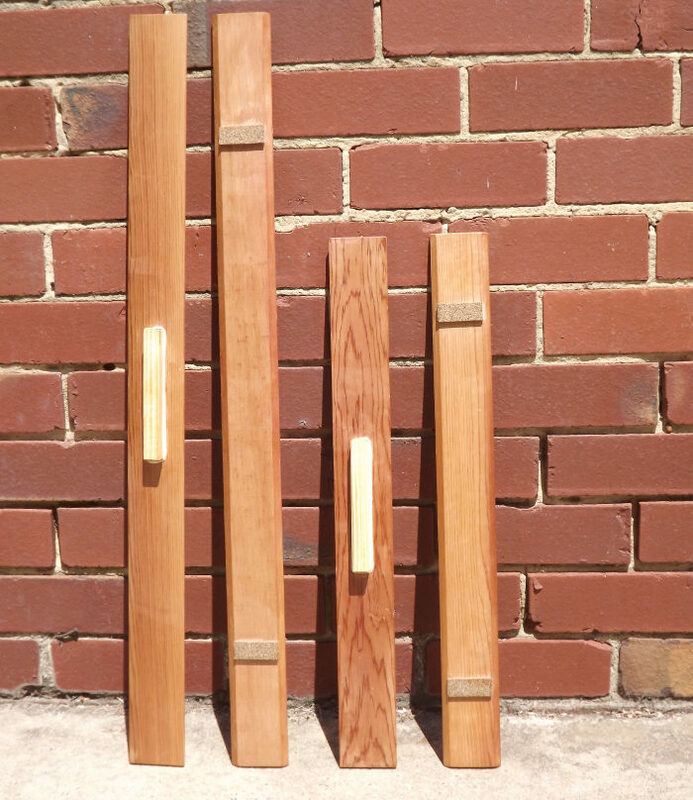 Chisels are available in different sizes with bladed, flat, tapered and other shaped chipping points. Blade of chisel is made from iron or metal and the handle is made from wood. Also Read: Stone Masonry Construction: 40+ Various Guidelines to Keep in Mind! It is used to dress soft stones. A chisel is a tool with a characteristically shaped cutting edge of blade on its end, for carving or cutting stone by hand. Its handle is made from wood or plastic. It is a stone mason’s tool. It is a heavy hammer used for rough dressing of stones. It has a beveled striking face. It is a large hammer usually with a flat face and straight peen for rough dressing and breaking of stone. It is also designed for cutting and shaping of stone. Also Read: Types of Stone Masonry – Choose Wisely for your House Construction! A mash hammer is also known as a stone mason’s hammer. It is used to hit and drive chisel for rough dressing of stone. It is double-sided with two striking faces, most often used in stone masonry work. It should only be used to strike stones, but can also be used for such tasks as chipping away mortar in stone masonry. This hammer consists of a handle to which is attached a heavy head, usually made of metal. And its handle is made of wood. It is a basic tool used for shaping of stone. It is a wooden hammer used for driving wooden headed chisels. It has usually large head. It is used for carving of stones. It has also large round shape head which is made of iron. Its handle is made of wood. Scabbling also called scappling is the process of reducing stone while dressing of stone. In scabbling dressing only irregular angels are taken off with a scabbling hammer. Hence scabbling hammer is a tool used to break small projections of stones or removing irregular bushings from the face of stone. It has also large head made of iron and wooden handle. Also Read: What are the Pros and Cons of Masonry in Construction? It is used for removing spalls in stone masonry work. It also consists of iron head and wooden handle. It is used to strike arrow -headed chisels. It is also useful for light demolition work, driving masonry nails, and for use with a steel chisel when cutting stone. Its weight drives the chisel more deeply into the material being cut than any lighter hammers. It also consists of iron head and wooden handle like other stone masonry tools. It is used to make the stones of required size. This comprises of a long edge with a thick point. It is a hand driven tool with flat blade. Pitching tool or hand set – is also used to remove a great deal of waste material at the initial stages of carving, but only if the carving block of stone has flat-sawn faces. The ‘working-edge’ of the pitching tool has a broad flat face that generally is ground to an angle just slightly-off the perpendicular. It is employed to dress stones for spring, course, cornice, coping etc. It is made of metal. It is employed for roughly dressing the hard and tough stones. Point is also used for roughing out areas and knocking off high spots in stones. Point tool is used after any initial work with the pitching tool. The point and the punch both tools are used to rough-out the form. The Point differs from the Punch in that the latter tapers to a small cutting edge of stone where the former tapers to a single point of the stone. It is employed for dressing the surface of stones. This consists of an edge with a number of teeth from 3 mm to 9 mm. Claw tool is used after the coarse carving with the point tool. The claw tool, with its row of pointed teeth, acts like a rake to even out the surface irregularities left by the point. During use of this tool chisel’s teeth should all be in contact with the stone in order to prevent breakage. The mason’s nicker (Broad tool) is used to split (coping) stone. It is designed to be held at right angles to the stone and hit with a hammer. It is also designed thicker to be able to cut stronger materials like stone. It is made from high quality carbon steel. The blade of broad tool is bevelled on both sides to create a cutting blade to be used at right angles. They are used to bore holes for blasting purposes in a quarry. It is a long drilling tool used by quarry workers and masons. It consists of an iron bar with a chisel-edged steel tip at one or both ends, operated by striking it against the rock, turning it a little with each blow. It is an oldest still one of the best tools to split the stone. It is a three-piece set tool. 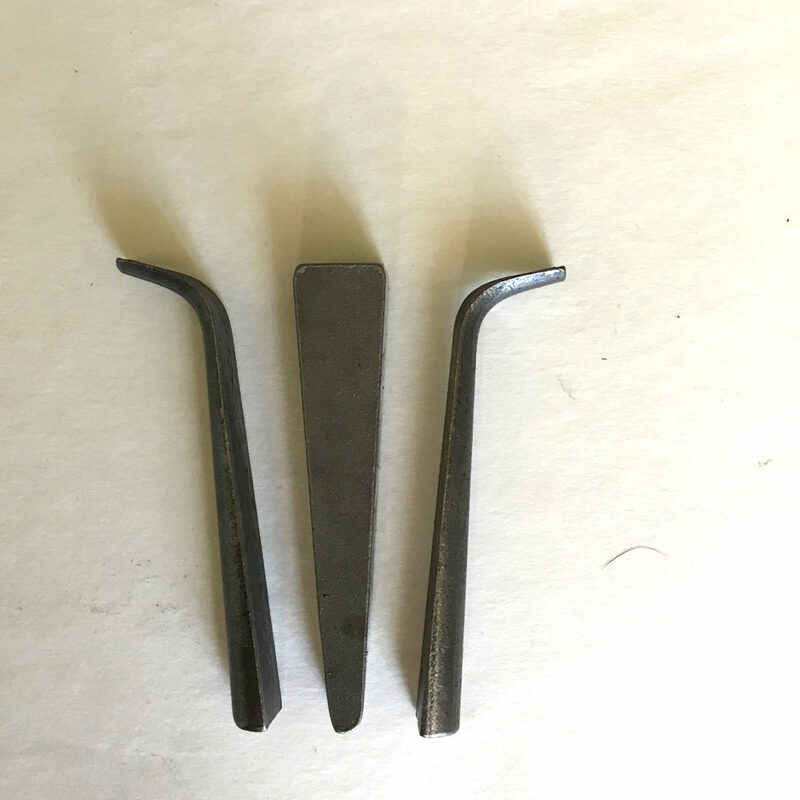 Each set of tool consists of a metal wedge (also called plug), and two shims (also called feathers). The feathers are tapered and curved at the top and wide at the bottom. When the two feathers are arranged on either side of the wedge, the combined width of the set is the same at both ends. They are employed for cutting the stones after they have been bored with a jumper. 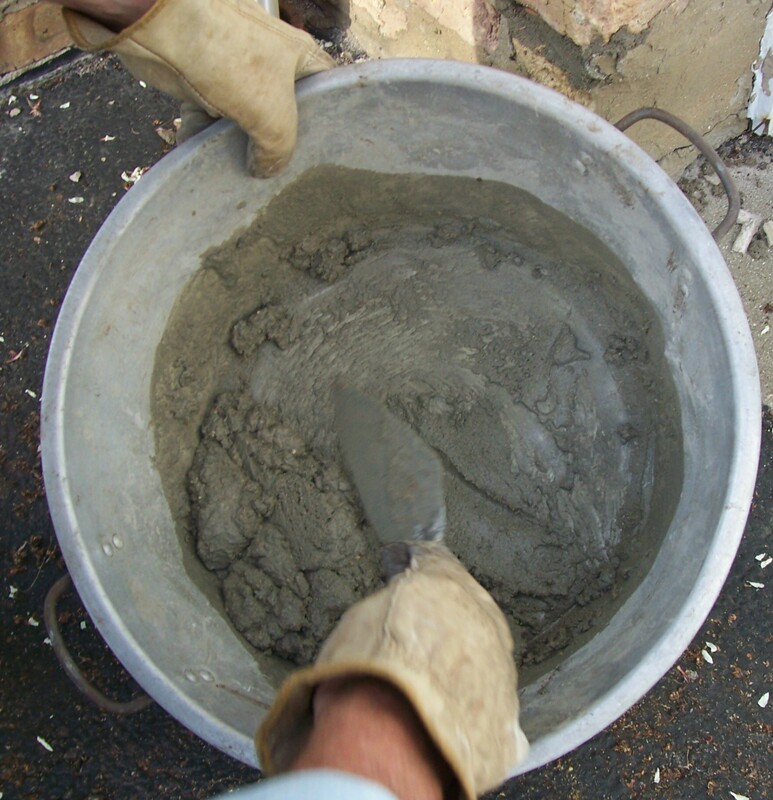 Also Read: Ready Mix Mortar for Brickwork, Plaster and Repair Maintenance! It is also used for splitting of the stone. This is a small steel wedge shaped tool. It is employed to level a stone surface. It consists of blades set at alternating angles, between 15 and 30 degrees, over the length of a block of wood. The blades are toothed to provide even removal of surface material. Some drags can be fitted with specially shaped blades to follow convex surfaces. It is employed to dress the hard stones roughly. It is one-piece rod-shaped tool made from metal designed to be struck by hammer. It’s one end is pointed and other is round shape. It is used to cut soft stones. It is a saw with wide blade and handle at one end. It has a wooden/plastic handle and it is used by one hand. Blade has crosscut teeth and blade is made from steel. It is also used to cut soft stones. It is a broad-faced or wide-edged masonry chisel. Boasted finish is done by boaster. This type of finish includes intermittent parallel lines which are horizontal or vertical or inclined. Boaster has an edge of width about 60 mm. It is used to cut hard stones. It is designed specifically for rough cutting. It has a comparatively thick blade, with large, beveled teeth. Traditional 2-man crosscut saws (felling saws) have a handle on each end and are meant to be used by two people to cut stones. This is used to cut large blocks of stones. It consists of a comparatively narrow and flexible blade held under tension within a (generally wooden) rectangular frame which is also called a sash or gate. The blade is held perpendicular to the plane of the frame, so that the stone being cut passes through the center of the frame. It is a chisel especially used for cutting a border or line at the edge of a stone. They come in different types of size. Grooves are made with the drafting chisel at the all four edges of stone. And, these stones are used in in plinths and at corners in building. Tooth chisel is also used for fine dressing. It is a metal hand-held tool consisting of a long shaft, with a toothed cutting edge at one end. It is again usually hit with a mallet or metal hammer. The number of teeth on this cutting edge varies, generally between three and five, but a variation with two teeth also exists. The tooth chisel is normally used between roughing-out and finishing, to clear away the rough marks left by the point chisel and prepare the surface for finer work. It is used for rough cutting of bricks in different shapes and sizes. One end of the hammer is square and another end is sharp-edged. It has one flat traditional face and a short or long chisel shaped blade. It is also used to push the bricks if they come out from the course line. 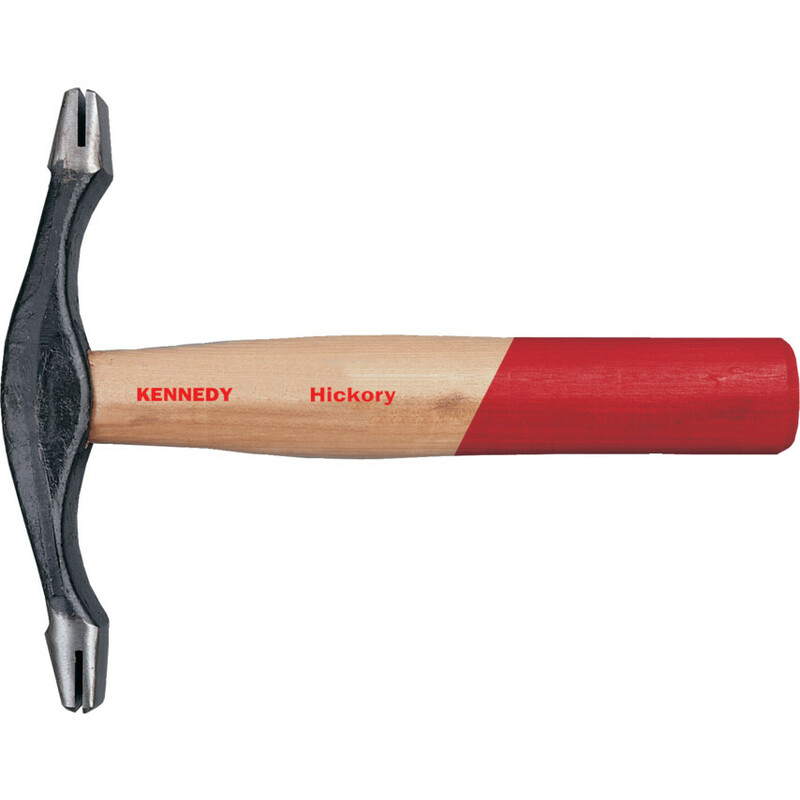 Lump hammer is used for light demolition work or to break masonry. In order to cut brick accurately a steel chisel with a very wide blade is employed which is popularly known as bolster. It is used to remove surplus material after cutting of bricks by bolster, for greater accuracy. The Hammer has two groove components for double sided use. Comb of hammer is a made from iron or metal whereas handle is made from plastic or wood. Straight edge act as extensors to mason’s level. They are used when levels are shorter than the area that needs to be measured or assessed. The middle section of the top of the straightedge should be horizontally parallel to the bottom section. It is used for checking the straightness of brickwork. Also Read:Brick Test: How to Check the Quality of Bricks? It is similar to straighten edges on which levels of different courses of bricks including sills, lintels are marked. It may be as long as the height of a storey. It is used to confirm that courses are maintained at correct levels. It is used to pick up and spread mortar on bed and cross joints in the brickwork. 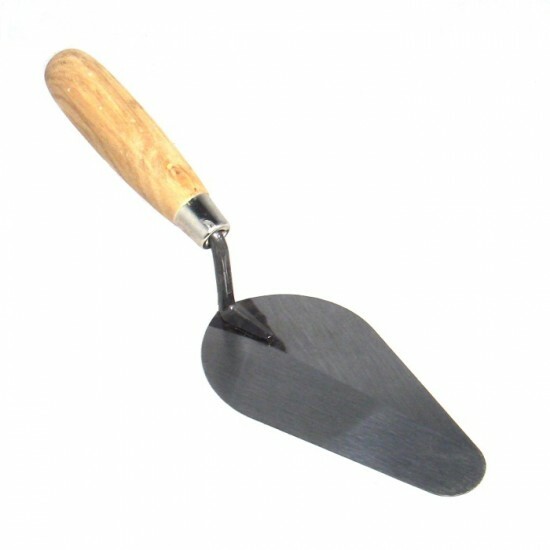 It is a hand trowel also used in masonry for leveling, spreading and shaping mortar or concrete. The trowel is also used to tap bricks down on to the bed and can be used for random cutting of soft bricks. They come in various shapes and sizes depending on the task. Masons are persons who work with, brick, stone, concrete or other individual units. Masonry construction work has been in use since thousands of years, and many of the tools modern masons use date from ancient times. While there are a number of different types of tools but most of masons use the same basic tools.